We stopped at Cobar for afternoon tea during our journey from Broken Hill to Nyngan. 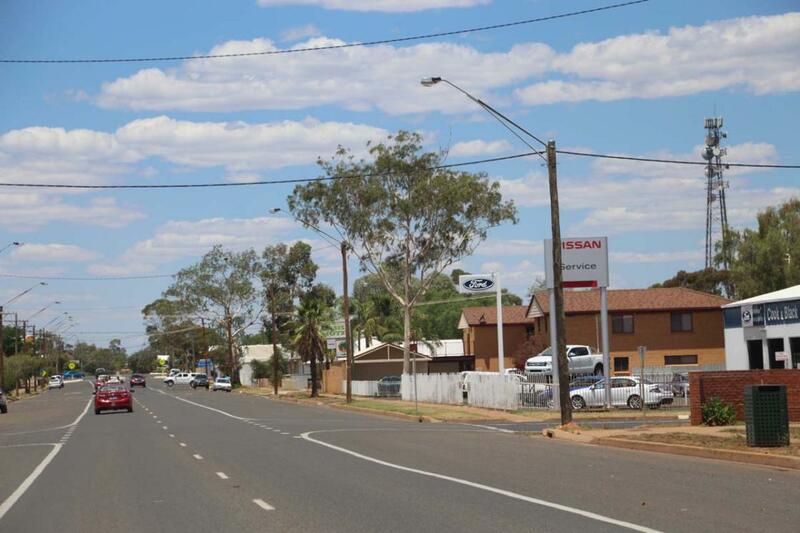 Most of the country towns that we have driven through have very wide streets which is great when you are towing a caravan. There are plenty of parking spaces close to the main shopping centre of Cobar so you do not have to walk far to find a coffee or a drink. The Grand Hotel in the middle of the main street has the largest Tooheys can that I have ever seen mounted on the front awning. We stopped to look at the caravan park which looks well maintained and quite comfortable - we have been told it can be very busy so ring ahead and book. have you been to Cobar? Explore Cobar with RvTrips and find out where to stay, what to do and what to see. Helping caravan, motorhome and camper owners have a great holiday.